A Supersonic speed train is a vehicle able to travel exceeding the speed of sound. Currently a group of engineer students from MIT is designing and testing the Supersonic speed train SpaceX co-founder Elon Musk’s Hyperloop concept, which envisions a transportation system that would move people in pods through reduced-pressure tubes at almost supersonic speed. 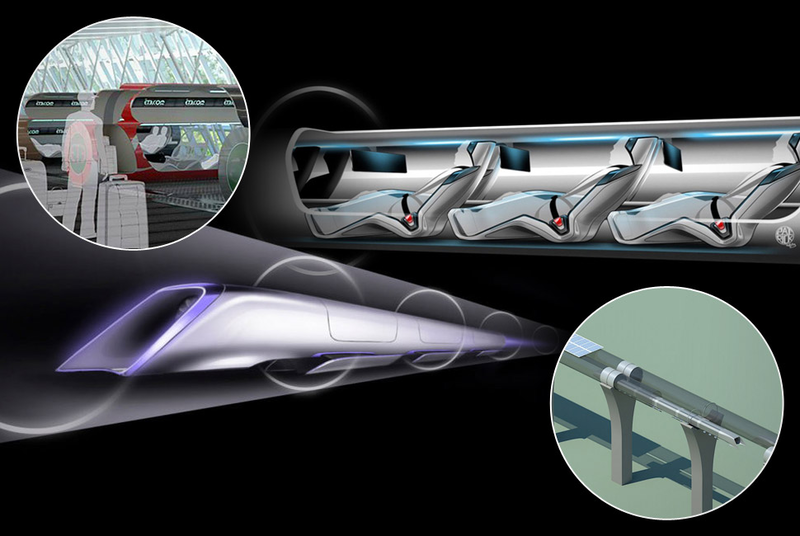 The Hyperloop is a Supersonic speed train and ground transport concept proposed by Musk to transport “pods” of 20 to 30 people through a 12-foot diameter tube at speeds of roughly 700mph (1,127km/h). Undertaking a project like the proposed Hyperloop can be a large financial burden. It is already anticipated that the 350-mile trip between Los Angeles and San Francisco will cost $20 each way. However to build the extravagant tube system, Musk estimates it costs will be between $6 billion and $7.5 billion. His $6 billion estimate is for two one way tubes and 40 capsules with no cargo space, while the higher end of the estimate would carry cargo. Musk’s past success with Tesla and SpaceX lend credibility to his outlandish proposal in the face of many doubts. The Hyperloop is expected to cost one-tenth the amount of California High Speed Rail and provide even faster times. Whether or not it can be fully implemented, technological innovation is pushing future travel towards efficiency and speed. The top teams will build their pods and test them at the world’s first Supersonic speed train Hyperloop test track, being built adjacent to SpaceX’s Hawthorne, California, headquarters. The video below shows how Hyperloop Transportation Technologies is trying to make this “pipe dream” a reality. Formal methods in railway signalling systems Happy new year to our 4000+ members!